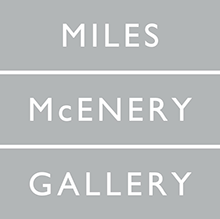 New York, New York - Ameringer | McEnery | Yohe is pleased to announce that Franklin Evans is now represented by the gallery. Evans' inaugural exhibition with the gallery will open on Thursday 5 June 2014. The exhibitions of Franklin Evans showcase work that, in their essence, flaunt an unpretentious and freewheeling pursuit of process and movement. With an irreverence for the normative nature of painting to find a definitive resolution, Evans tests the limits of a material and its spatial boundaries, as paintings merge with installation and the picture plane expands into sculptural form. Complex and densely worked bands of color, varying geometries, and the manipulation of mediums and space are characteristic of the drawings, paintings, and site-responsive floor and wall installations of Franklin Evans. Using materials such as tape, paper (including artist press releases), wood, canvas, bubble wrap, and paint, the artist is enthralled by the challenge to build an environment that takes the viewer inside his practice of creating – inside his studio. Leaping from medium to medium, subverting the conventional uses of materials, and expanding the artwork to a wall-to-wall environment, Evans recasts the identity of a painting as an immersive installation that alters the architecture of a space and engages the viewer through the infinite happenings of a work. FRANKLIN EVANS was born in 1967 in Reno, NV. He received his Bachelor of Arts degree from Stanford University in 1989 and his Master of Fine Arts degree from the University of Iowa in 1993. He has had numerous solo exhibitions at such venues as Federico Luger, Milan, Italy; Sue Scott Gallery, New York, NY; and DiverseWorks, Houston, TX. A solo exhibition at the Nevada Museum of Art, Reno, NV will remain on view from October 2013 through April 2014. Recent group exhibitions include The Drawing Center, New York, NY; MoMA PS1, Long Island City, NY; El Museo del Barrio, New York, NY; Abrons Arts Center, New York, NY; RISD Museum, Providence, RI; deCordova Museum and Sculpture Park, Lincoln, MA; Futura, Prague, Czech Republic; and the Weatherspoon Art Museum, University of North Carolina, Greensboro, NC, among others. His work is included in many public and private collections including the Orlando Museum of Art, Orlando, FL; El Museo del Barrio, New York, NY; Weatherspoon Art Museum, University of North Carolina, Greensboro, NC; Roanoke College, Salem, VA; Sweeney Art Gallery, University of California, Riverside, CA; Pizzuti Collection, Columbus, OH; and The Progressive Art Collection, Cleveland, OH. 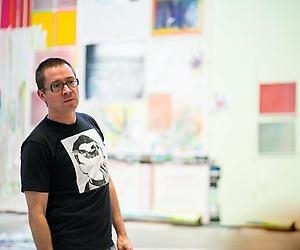 He is the recipient of the Pollock-Krasner Foundation Grant in 2010 and a 2011 Rome Prize Fellowship Finalist for the American Academy in Rome, Italy.